It is a good idea to clean your window treatments and blinds from time to time. Regular dusting and wiping will not only prevent dust from accumulating on them; it will also allow more light to enter the rooms. Depending on the type of blinds you have installed, you will need different methods to clean them. Let us take a look at popular ways to clean blinds. Regular dusting is the easiest way to keep wooden, faux wood, plastic, vinyl and aluminum blinds clean. A light dusting between each slat helps remove accumulated dust and dirt and all you need is a feather duster, microfiber cleaner or even an old, soft rag for the purpose. This simple method to clean aluminum blinds can help you maintain a like-new appearance for them. Vacuum cleaning the blinds is a top ‘cleaning blinds hack’. It will give you a deeper cleaning and you can use a brush attachment of the device to clean the blinds vertically. This method is useful for removing cobwebs. This is a great way to clean aluminum, vinyl, wood/faux wood, or plastic blinds. Use the non-heat setting of the dryer which will blow off all the dust. This method is fast and works best for blinds without stains. Washing the blinds from time to time will eliminate stains and give you a deep cleaning. This method is suitable for cleaning plastic, vinyl, aluminum and faux wood blinds. Remove the blinds carefully and lower them in the bath tub. Fill up the tub with warm water and mild dish soap or detergent. Soak the blinds in the solution for 15 to 20 minutes. Rinse them with clean water. Allow the excess water to drip off and dry the blinds carefully with cloth. You can also let them dry before a fan. Reinstall them once they are completely dry. This blinds cleaning hack is not suitable for blinds having decorative tapes. Here is a how to clean blinds YouTube video that can be useful to you. Wear an old (dry) sock or glove in one hand and move your hand across each slat. This blind cleaning hack is great for regularly cleaning vinyl, plastic, wood or aluminum blinds. You can also wet the glove with a bit of water (not for wooden blinds) in case they are very dusty and stained. In order to clean vinyl, aluminum or plastic mix some warm water and dish soap. Work up a lather and immerse a rag in it. Squeeze out excess water from the rag and use it to wipe each slat. Repeat until you have covered all slats. Lukewarm water and mild detergent is the perfect way of cleaning vinyl and plastic blinds. Soak the sponge in the soapy solution and wring out the excess water. Afterwards, dry with cloth. 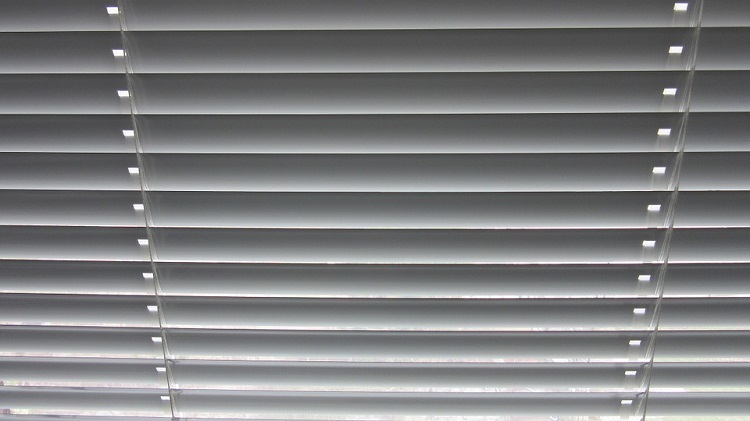 You can get your blinds treated once a year by professionals who use ultrasonic devices. This method is unsuitable for cleaning wooden blinds. This method is useful for cleaning fabrics. Use a handheld travel-size steamer which gives continuous steam. Avoid heavy duty steamers. 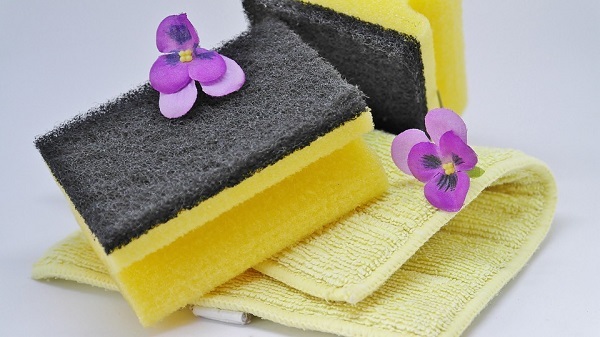 Avoid abrasive solvents, chemical cleaners as they can scratch and permanently damage the surface. Never use hot water-the water should be warm. Avoid ammonia based cleaners, abrasive solvents and harsh chemicals. To reduce electric static on vinyl blinds, use dryer sheets for wiping. You can also reduce static buildup by applying a thin layer of detergent on all vanes. Do not use harsh abrasive cleaners or solvents. Also avoid furniture polish. Protect the blinds from rain and moisture. Use these 12 easy ways to clean blinds.